If there is any question as to whether you could be charged with an offense, you should talk to an attorney before speaking with any law enforcement officer. Unfortunately, without consulting with an experienced attorney you will have no idea whether or not you are being treated fairly. You should at least consult with an attorney prior to speaking with police, or appearing in court. 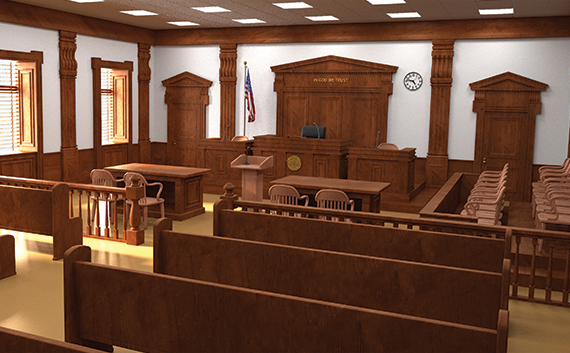 Attorney’s fees are directly proportionate to the seriousness of the charges. Many less serious offenses can be dealt with at the magistrate’s office for a flat fee of $250-$750. More serious charges will warrant higher fees. Generally, you will know at the conclusion of your initial consult what each stage of the proceeding will cost. Bail is either money paid by you, or a surety posted by a bail bondsman that guarantees your appearance at future court hearings. Bail bondsmen generally require 10% of the actual required cash bond in order for them to file the surety. In the case of high cash bonds, the bail bondsman may require additional security prior to posting the surety. Am I going to lose my driver’s license? There are many offenses that have a driver’s license suspension as a collateral consequence. In many circumstances the driver’s license suspension can be reduced or even avoided. It’s important to hire experienced counsel so that you don’t lose your license for a day longer than necessary. Assuming that both parties agree on distribution of the assets, and on the divorce itself, a divorce can be obtained 90 days after service of the complaint. Absent an agreement, generally a divorce cannot be entered until there has been a separation of 2 years. Whether or not to move out of the house is always one of the most difficult questions, especially when there are children involved. Sometimes, things are so disharmonious that moving out is the only option. However, before you take such a drastic step you should consult with an attorney. There are many factors that go into how any particular marital estate should be divided. The only way to get an idea of what you may be entitled to is to consult with an experienced divorce attorney. Do I really need to go to Court? No, if both parties are reasonable, and retain experienced counsel, there is no reason that your case cannot be settled out of court. I always strive to settle cases prior to trial. Trial in divorce cases is costly and extremely emotionally draining. Simple divorces where there is no dispute over property or debt can be obtained for $500.00 to $1,000. If there are assets or debts in dispute it is impossible to say at the outset the total cost, as it all depends on whether each party is willing or able to resolve all of the issues. Generally, if you are the lower earning spouse, and/or have a majority of the custodial overnights with your children, you will be entitled to support. Of course there are exceptions to this rule and if you have questions about whether you are entitled to support, or owe support, you should contact a family lawyer. How do I stop my custody time from being interrupted? If you don’t already have a custody order and your agreed upon time is getting interfered with, you should schedule a consultation with a custody lawyer. If you have an Order, and it is being broken, then you need to seek Court relief. Again, consultation with a lawyer is your best course of action. Grandparents whose child is no longer in an intact relationship with the other parent have the right to sue for partial custody. Some grandparents even have the right to sue for primary custody. To find out what you are entitled to you should speak with an attorney.